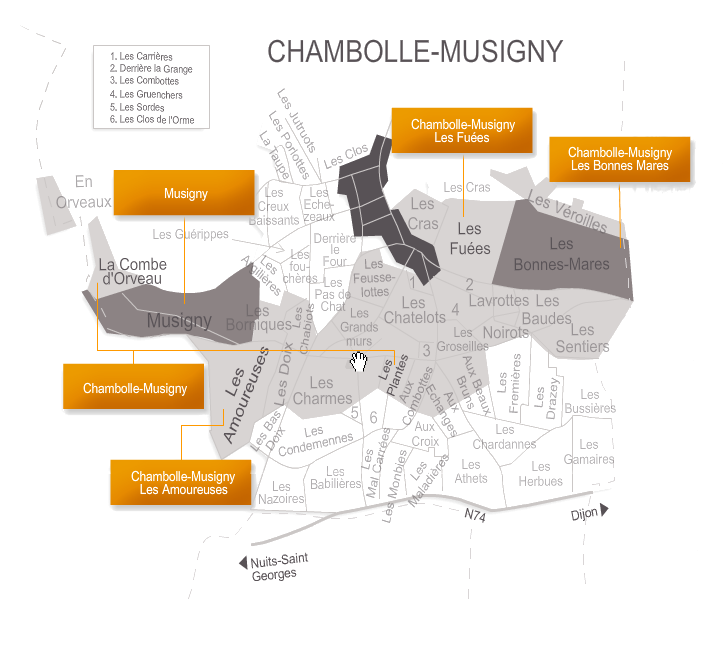 Do not try to find the Clos des Fourches on your maps of Burgundy because it is not there. This name disappeared from the maps at the end of the 19th century when the Clos became known as ‘Clos de la Maréchale’. We decided to revive this name for a cuvée made from the younger vines of the Clos de la Maréchale in certain vintages. In olden days, the word ‘fourches’ meant the gallows from which criminals were hanged. One can understand that people preferred the name ‘La Maréchale’ evoking a universe of operettas – brilliant, futile, and festive. This wine, from relatively young vines, does not have the power, complexity, or length of the Clos de la Maréchale but possesses its own attributes. Smoother, more supple, it has a bright floral bouquet in its youth, and lends itself to earlier appreciation.